In this video, John McDonald from Valve comes forward and talks about how they have been using Deep Learning to effectively cheating in CS:GO spoiler Alert and how It works pretty well for them and they are happy with it. Firstly, talking about CS:GO, it is a succession of counter strike that is a competitive multiplayer game with fast -paced action, lethal bullets and when dead, you are out. The combat engagements in CS:GO are very short and that impacts their cheating problem. He also provides an insight into Deep Learning along with useful resources to get started with the same at the end of the video. The first is the design that is the very satisfying combat experience where any weapon in the game can be one-shot kill but that also sort of fails to disincentivize cheating. On balance it is thought that is a good trade as players really enjoy the same but makes them a target for cheating. Why Do They Think Deep Learning Might Be An Effective Component In Their Sort Of Anti-Feed Strategy? The Basic concept behind Deep Learning is that Deep Learning can help you to basically just automatically build a function that maps inputs to outputs. And according to algebra, we are familiar with y=f(x). 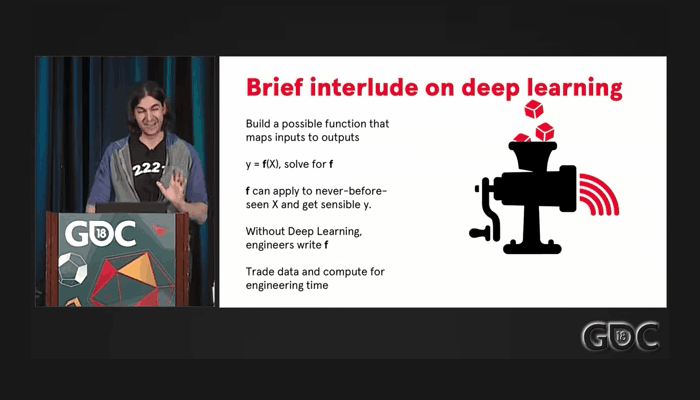 And the thing about Deep Learning is that Deep Learning says if you have enough X and we have enough Y we can solve for F and that's powerful by nature. It turns out that then you can take that F that has just been built and you can apply it to sort of never-before-seen X values and get actually pretty sensible wise. And if you Do not use Deep learning then Engineers are writing your F that's that treadmill of work that has been talked about and that lets you make this trade that valve was really excited about that: Basically trade data and compute for engineering time because at the valve they are always short on the engineers but they do have a lot of data as well as compute power. Also, Deep Learning is known to be really good at Pattern Recognition and at things that we humans are already familiar with so shouldn't Deep Learning be able to detect cheating as well? From here, Deep Learning came into action to solve their problem of cheating and helped them to combat the same. And Aimbots seemed to be like both the largest as well as the biggest problem as a lot of them are not really subtle and also have a loud signal. So they felt like they should go for them first. And thus came the overwatch process. Moving on, he continues to talk about Machine Learning as at Valve they do a lot of that as well.